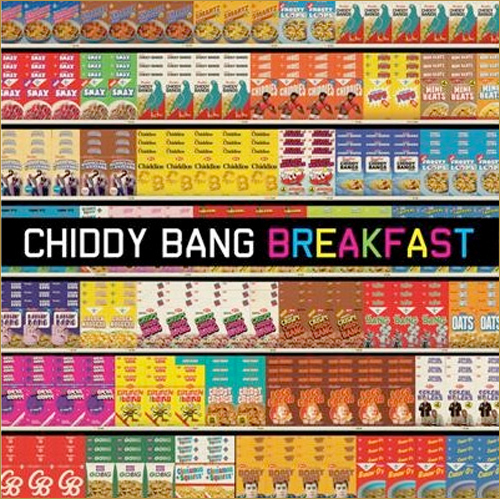 Chiddy Bang are a hip hop duo made up of rapper/Mc Chidera “Chiddy” Anamege and producer Noah “Xaphoon Jones” Bersin. In 2011 they saw their debut single Opposite of Adults reach number 11 in the UK Singles Chart and won Best Video at the 2011 MTVU Woodie Awards. Their music is a new kind of electro inspired hip-hop, blending in rap with elements of big band loops and their debut album Breakfast is set to be released on March 5th via Parlophone Records. The first single from the album Ray Charles is due for release on the 26th February. It is an infectious soulful track with a catchy chorus. It blends a blues-style piano accompaniment with a modern hip-hop beat and throws in a gospel choir for good measure. Add some impressively written rap and you’re left with a stellar feel-good track. The album’s title track Breakfast however fails to make the same impression. I find the lyrics slightly immature and it feels more like a rap guide 101 in production to make it stand out against the other tracks on the album. In terms of style the album sound has been likened to Outkast and Kanye West, but I fail to see the comparison – such artists are about breaking the mould and offering something new, but too much of Breakfast seems to be playing it safe. That doesn’t mean I don’t like it, I think it’s a good show for a debut album and has promise for their future material. I would however, like to see them push themselves further to be original. Ray Charles is a great track, light hearted and fun. It deserves to do well but I am left wanting more from the other tracks in the album.